This was a kit. I did not even take the time to count the linen. I think it must be 28ct or 32ct? I used most of the called for DMC. I did change out the dark green and the oranges. I chose ones to match the cover picture better. I stitched this two over two as called for and this gave me a 5x5 finish. Absolutely perfect for this frame I have had waiting for one year! I plan to use this for seasonal displays.😊 Brian is quite happy with this small gift. I have this spot open on the side of my dresser, right as you walk into our bedroom you pass by it. This is where I have placed it. Now that I am done with this pattern I would like to offer this to any of my sidebar followers. There are blue beads left, but I used the star fish charm. I will need you to leave a comment on this post telling me you would like this chart. I will draw a name for the winner of the chart on Monday, September 3rd. 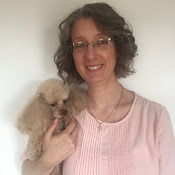 Have you ever read a book by Adriana Trigiani? Oh my goodness!!! This author is SO GOOD!! I read The Shoemaker's Wife. What a fantastic book! I loved it. I looked her up on and ordered more of her audio book on our library system. Oh man! So good! I am going to read all of her books. SERIOUSLY! Thanks for stopping by today my friends. I am always glad when you do. Have a super week now! Hi Vickie! 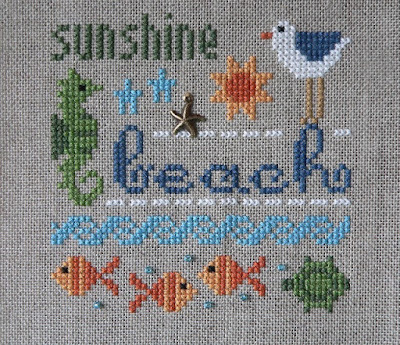 I love your beach stitch and I know Brian will too. Happy 50th birthday to Brian. Hope it is a great day for him. Did the baker make him a cake? I have made this stitch already but I do love it a lot. I gave it to a friend of mine that owns a beach house and lets us stay there often. They loved it too. I changed it up a tiny bit. I used a surf board instead of the seahorse and instead of sunshine I put surf's up because the male friend is a surfer. 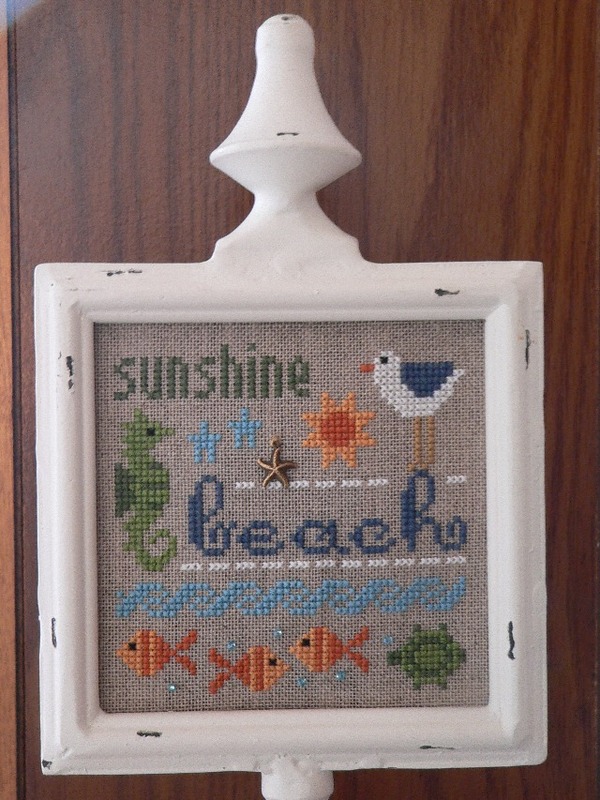 Love this little beach piece...and I'm sure Brian does too! Happy Birthday to Brian~ It's fun when they pick out their own patterns. This one is sweet too and amazing that you already had the perfect frame for it! What an absolutely darling finish! The frame is just perfect and I am sure Brian is thrilled with it! I hope he had a great birthday! I have never read this author before but you can be sure that I will be looking her up. She sounds wonderful! Enjoy your stitching! 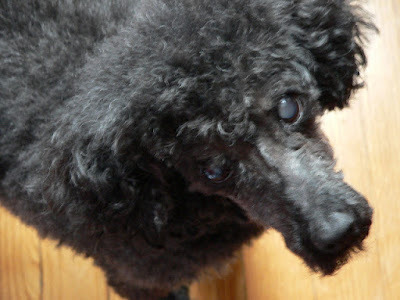 Hmmm I wonder what you will come up with for your September poodle. You know as a teacher September is always like my new year...back to school...new classroom of students....etc. not to mention the beginning of Fall! I can hardly believe we are even thinking about September to be honest...lol. Happy birthday Brian and Murphy too. Love that sweet stiches. I love your book reviews. a lovely finish. The frame is wonderful and perfect. That is a lovely finish, and it suits the frame perfectly. Such a sweet finish! Happy birthday to Brian! That's a great frame too! Well done Vickie, what a lovely idea the unusual frame! Happy birthday to Murphy! Happy belated birthday wishes to Brian! 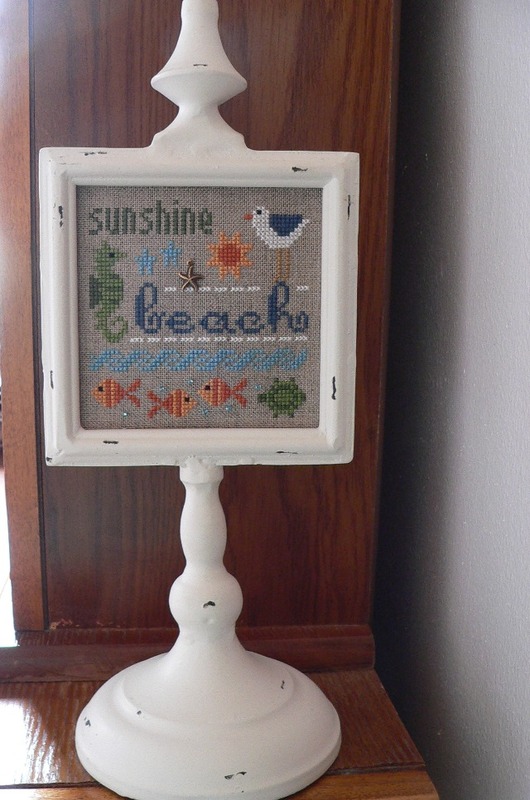 I love the pedestal frame you used for the beach stitch, Vickie. Congrats on the super cute finish Vickie and Happy Birthday to Brian. Also thank you for all of the nice comments you always leave me. I would love to be entered in your giveaway. I have never bought any of her kits. Happy Birthday to Brian ,also to Murphy. 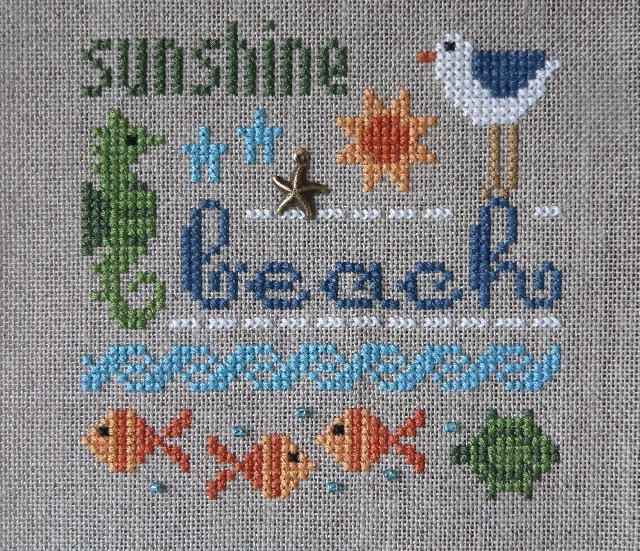 Love your new stitch for Brian , I would love this chart ,but if there are others who want it go ahead and give it away ,you already treated me before . Have a lovely day hugs . What a nice stitch for Brian. My husband wanted piecake for his 50th. I'm still thinking how I'm going to put a pie into a cake--both I make from scratch. I don't imagine it's all that hard, but I'm avoiding thinking about it just the same . . . a little out of my wheelhouse. What a sweet piece for Brian. I love to use frames that can be changed like the one you are using. It seems I read that book quite awhile ago. I will have to look it up to be sure and investigate more of her books. 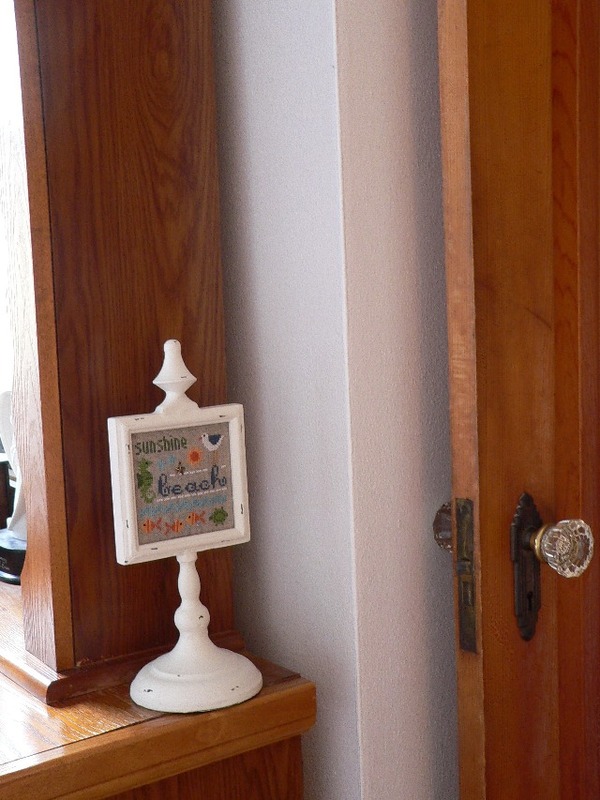 Hi Vickie: Wonderful finish for a lovely design. Happy Birthday to Brian and to Murphy. I read a lot but have not read anything by this author. Love your gift to Brian. So bright and cheerful. The book sounds good - I'll have to check it out. Happy Birthday to both Brian and Murphy! I hope you're doing well! When I played the piano, one of my favorites was "You Are My Hiding Place"; I played it often - love the words. I am going to check out the book you read to see if my library has it or can get it. Thanks for sharing. Happy stitching. LK small patterns are the best! What a sweet finish and a lovely present for your husband's birthday. Happy Birthday Murphy !! Vickie could you e-mail. I want to ask you something. Your work is so beautiful. Vickie, this piece is great and I love the way you framed it. Happy birthday to Brian! Your gift is so pretty! Love your display! Think I've read most everything Adriana Trigiani has written - she's great. I really like the colors you used for Brian's bday gift - hope he appreciates the work and skill it took. Oh my, Vickie, you chose such a lovely pattern for Brian's gift. And it looks very special in that beautiful and unusual frame. I forgot to send Brian some happy belated birthday wishes! A great pattern for Brian, it really looks perfect in this setting. I like to take part in your giveaway, it is a nice pattern. Also at this point again everything good afterwards. I hope you had a great party. An adorable little finish! Happy Belated Birthday Brian! Cute finish on the Lizzie Kate design Vickie. Happy birthday Brian!! This is a great gift for him, especially as he chose the design himself. I really like the display stand you are using too. Really love your little beachy stitch and the cute frame you found for it! Hope Brian had a great birthdady! Happy Birthday Murphy!! Love the stitch you made for your husband, Happy Birthday Brian!! That frame is perfect!!! I read books by Adriana quite a few years ago, they are great!! I might have to try listening while I stitch again....didn't go so well the first time! Happy belated to Brian, his gift turned out great! Perfect frame and nice to see it everyday. And hugs to Murphy for his special day!